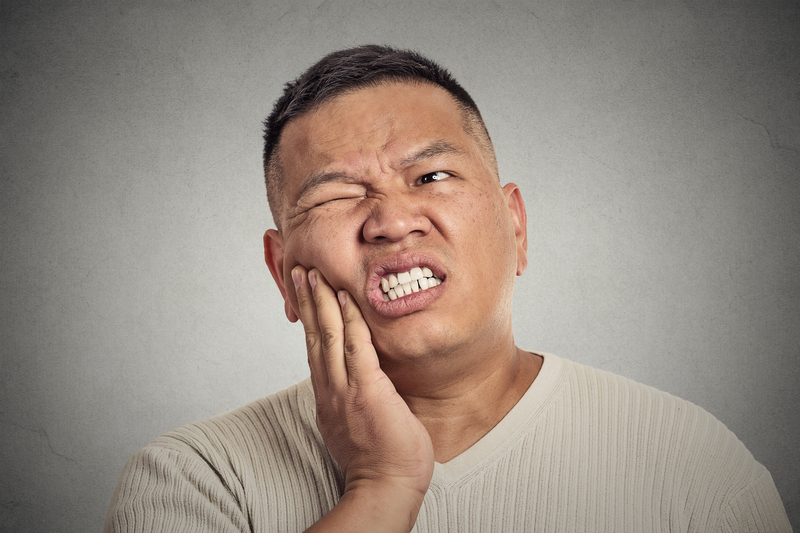 If you have a tooth abscess, antibiotics are pretty much an essential part of treatment. Tooth abscess antibiotics for tooth infections are very effective, and the most commonly prescribed antibiotic is probably Amoxicillin, a type of penicillin. It's usually called Amoxyl. BUT you don't ALWAYS need antibiotics, and these days we are trying to cut down on antibiotic prescribing due to bacteria becoming resistant. If it's possible for your dentist to drain an infection, either by making a small hole in the tooth or else by making a small incision in the gum to let the pus out, then the infection has a way out, and you may not need antibiotics. 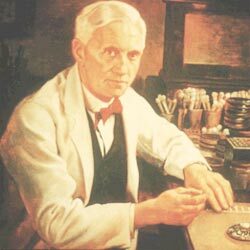 The discovery of the first antibiotic - penicillin - by Nobel Prize-winner Alexander Fleming created a revolution. As Woody Allen said, "I wouldn't want to have lived in any time period before the invention of antibiotics". ONE THING to remember, though, is that we have an increasing problem of bacteria becoming immune to our antibiotics for tooth infections. Potentially, this is a very serious problem, because it means that in the future, a simple infection might kill you if the bacteria responsible have become immune to antibiotics. The problem of some types of bacteria developing immunity (or "resistance") to common antibiotics has developed gradually over recent years, due to doctors and dentists "over-prescribing". Over-prescribing happens when a doctor or dentist prescribes antibiotics for a suspected infection, when either there is NO infection OR the infection would settle down anyway without antibiotics. While there is A LOT of research being done into new, alternative antibiotics, we can all help to reduce the problem of antibiotic resistance by only taking current tooth abscess antibiotics when we are SURE that there is an infection caused by bacteria, with a swelling, difficulty opening your jaw, or a raised temperature. THERE ARE ALSO NEW PRESCRIBING RECOMMENDATIONS! Recent studies (in late 2017) have shown that SHORT courses of antibiotics (ie. 3 to 5 days) are just as effective as longer courses (ie. 7 to 10 days). AND taking antibiotics for longer than 3 to 5 days means that you are MORE LIKELY to get an antibiotic-resistant infection! The report recommends only taking antibiotics for as long as you still have symptoms. As soon as you feel things are back to normal, you can STOP taking the antibiotics. Penicillin V. (Also called "Pen Vee") This is a form of penicillin that has been around for quite a while, but it is still very effective. It works against a relatively small number of bacteria types, but they are the ones that are most commonly involved in dental infections. Because it is a "narrow spectrum" antibiotic, it is less likely to cause a general "antibiotic resistance". BUT it's very important to take a high enough dose for it to work properly. It's only effective if it has a high enough concentration in your blood stream to kill bacteria. At lower blood concentrations it can only inhibit the bacteria from multiplying, rather than killing them. To keep the level of Penicillin V in your bloodstream high enough, it must be taken in 4 doses spread out over the day. The normal dose is 250mg every 6 hours. If it is taken less frequently, say once every 8 hours, the blood concentration may dip below the effective bacteria-killing level for an hour or so before the next dose is taken. So one dose every 6 hours is needed to make sure the bacteria are being killed. Unfortunately, people tend to miss one of the doses during the day, because they forget or they are busy. This means that Penicillin V doesn't always work quite as well as it should do. Most dentists will now prescribe a more modern form of Penicillin - Amoxicillin. Read on! Amoxicillin is different to Penicillin V in that it is well absorbed in the stomach when taken in capsule form by mouth, and even better if you have something to eat when you take the capsule. It's also "broad spectrum" - ie. effective against many types of bacteria. So whatever bacteria is causing your tooth infection, Amoxicillin will probably be effective. It's one of the best tooth abscess antibiotics. An extra plus point is that you only need to take three doses a day, (ie. 500mg every 8 hours) so it's easier to keep track and take the course correctly. You're less likely to miss a dose, as there's only 3 a day to remember. For most folk, that's one capsule after breakfast, one before bedtime, and one somewhere in the middle of the day. HOWEVER, the recommended dose DOES seem to vary from country to country. In some countries, the dose is 250mg taken FOUR times a day. (The same as for Penicillin V). In other countries, the recommended dose is 500mg, taken THREE times a day! And this has been shown to be very effective. So, depending where you live and how up to date your doctor or dentist is, the DAILY dose seems to be between 1000mg and 1,500mg. This is divided over 3 to 4 intakes per day. 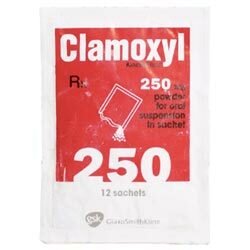 Clamoxyl is a mixture of Amoxicillin and clavulanic acid, which makes it resistant to breakdown by certain bacteria, and so even more effective than straight Amoxicillin. It's a pretty heavy hammer, and is effective against a wide range of bacteria, but it can knock out some of the "good guys" too. We all have "normal" bacteria in our mouths and stomachs which are essential to normal function. Sometimes these good bacteria can be affected by antibiotics prescribed for infections. Personally, I think Clamoxyl (Amoxicillin combined with clavulanic acid) is too powerful and unnecessary for most dental infections. It should really only be prescribed if you have had a swab or sample of the infection sent to a laboratory for testing, to see if the infection is being caused by a bacteria that can break down plain Amoxicillin. If you want MORE DETAILED information about antibiotics for tooth infections, I recommend that you download MY OWN 80-page ebook. 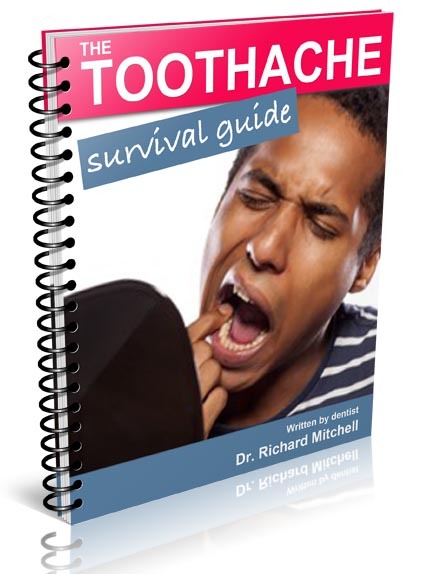 Just CLICK HERE to read ALL about The Toothache Survival Guide. Metronidazole. This is marketed under the name Flagyl in most countries. It is very effective against certain types of bacteria that can cause gum infectons. It is important to avoid alcohol while taking Metronidazole, as it may cause serious stomach upsets. This won't harm you in any way, but you may end up vomiting, which means you lose some of the antibiotic, and it won't be as effective. Metronidazole is particularly good for infections under the gum around the neck of the tooth or a dental implant infection. It is effective against bacteria that do not need oxygen. In fact, these bacteria are INHIBITED by oxygen. These are called "anaerobic" bacteria. They frequently cause dental infections in the gum over a wisdom tooth that is just poking through the gum a little; anaerobic bacteria can also cause a severe infection that usually appears between the lower front teeth called Acute Ulcerative Gingivitis. For more stubborn infections, Metronidazole can be taken at the same time as Amoxicillin. Working together, the two antibiotics have a synergy which produces an effectiveness much greater than could be expected from just adding the two together! Tooth infections don't stand a chance against this powerful combination! Erythromycin. This is an older antibiotic, but it is still in use, and very effective where you might be allergic to the penicillins. However, it may cause various types of stomach upset, and so is usually kept "in reserve". As a tooth abscess antibiotic, it's unusual to prescribe this one. I can't remember the last time I prescribed it. Clindamycin is the 500lb. gorilla of tooth abscess antibiotics used in dentistry. It penetrates bone extremely well, and for this reason is normally given in much lower doses than other antibiotics. The usual dose is 150mg, taken FOUR times a day. This makes it very good for infections within the bone, such as a tooth extraction infection. However, it does have a very small risk of causing a potentially serious stomach condition. For this reason, it is usually kept in reserve as an "antibiotic of last resort". Having said that, it is becoming increasingly more widely used. Clindamycin is also an alternative antibiotic if you are allergic to penicillin. Tooth abscess antibiotics are also used in other areas of general medicine. They just happen to be particularly effective against the bacteria that commonly cause dental infections. All antibiotics for tooth infections work in one of 2 ways; either they kill the bacteria outright, or else they slow down or stop the bacteria from multiplying, and so give your own immune system a chance to work. The ones that kill bacteria are called "bacteriocidal", and the ones that stop bacteria multiplying are called "bacteriostatic". You might think that the best antibiotics for tooth infections are the bacteriocidal ones, but this isn't always true. 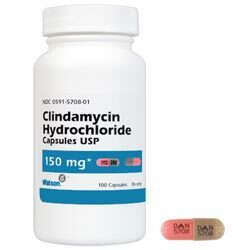 Clindamycin, for example, is bacteriostatic, but extremely effective! The effectiveness of an antibiotic for dental use depends also on how well that antibiotic penetrates the area it needs to get to. To get the best results, you must always take your antibiotics exactly as directed by your health care professional. Here is an article about tooth abscess antibiotics at Medscape. If you would like to ask me about a particular problem directly, you can send me a question AT THIS PAGE.